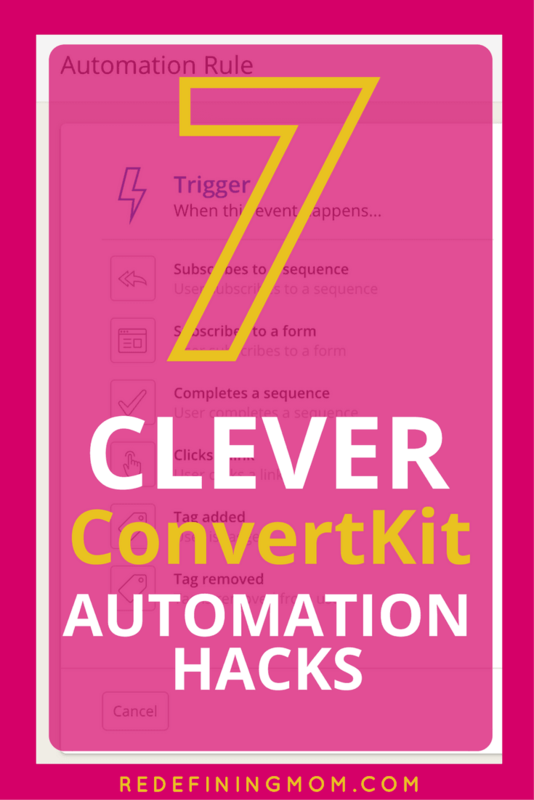 7 Clever ConvertKit Automation Hacks <– this post! Now that we’ve covered all the basic functionalities of ConvertKit in previous articles, it’s time to dig into the most powerful part of ConvertKit… automations! Automations make your business life better… seriously! By leveraging automation triggers in email marketing, you can track useful information on your customer’s behaviors and interests. This allows you to give the right content to the right people at the right time. Sounds too good to be true, doesn’t it? But it’s true! 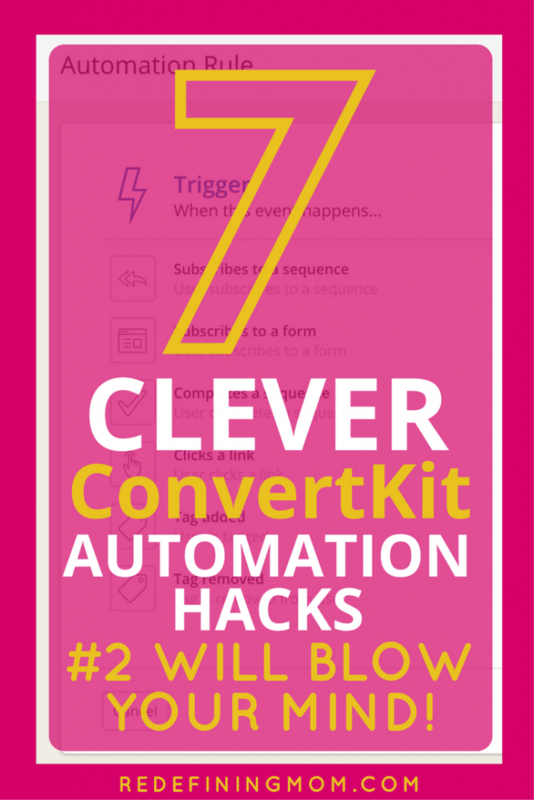 Let me walk you through my favorite ways to use automations inside ConvertKit. I guarantee you’ll find at least one new way to implement automations in your business. They will make your life easier while ultimately making you more money. Here’s a quick recap of the different triggers and actions you can use when building your automation rules inside ConvertKit. I don’t know about you, but I know I sell to my email list. After all, it’s something we pay for in order to convert customers. Not everything I sell or promote will be interesting to all of my subscribers. I certainly don’t want to lose a subscriber completely just because they are not interested in a certain promotion I am running. By law, all emails must have an unsubscribe option. Here’s what mine looks like at the bottom of my emails (this is auto-inserted by ConvertKit). 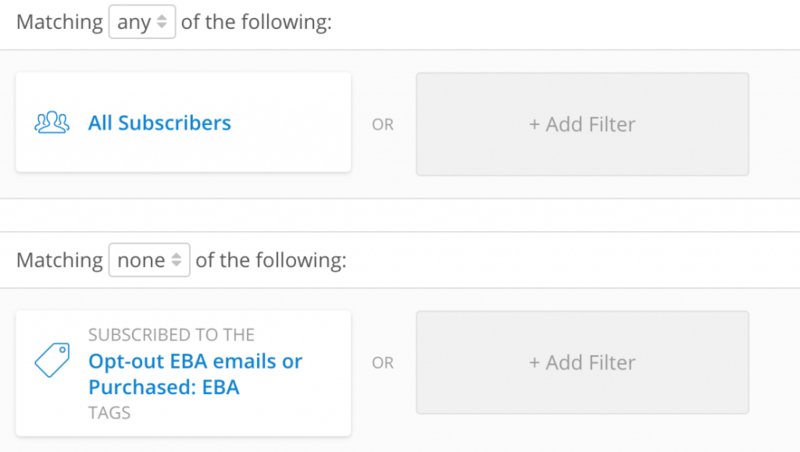 If a subscriber clicked the opt-out of EBA sales emails link, they would be added to a tag I set up prior to sending the email. Step 3: Set up a new segment. This segment will be used to send broadcasts for the duration of the campaign you will be emailing about. This is what mine looked like for Elite Blog Academy. To learn more about how to prevent unsubscribers and keep your email list engaged, check out my new ConvertKit Masterclass! I’m guilty of not using this one enough. You know the emails you get 3-4 hours prior to the cart closing on a big product launch? The truth is, not everyone wants another email in their inbox telling them the cart is closing. You may risk a few unsubs by sending the last minute email. In my opinion, it’s worth a few unsubs because my conversion rate on the last minute emails is usually pretty high. Nevertheless, you may want to take a different approach. Step 3: Send the email broadcast only to the tag with the people who decided they wanted to be notified. This one is my favorite! Every time someone clicks on a sales page link for your product, you can automatically trigger them into a nurture sequence that will lead them straight to buying your product! What?! How awesome is that?! Step 1: Create a new automation rule. Under trigger select “clicks a link” and enter the URL for your product sales page. Under action select “add tag” and “subscribe to a sequence.” Create a tag that says “interested in xyz” and a sequence which has a series of emails that speaks to the value of your product. Step 2: Use the link trigger every time you mention your product in an email. Anyone that is interested in the product will now be entered into the nurture sequence! #5 Tag Everyone and Everything! The more information you have about your email subscribers, the more money you will make. It’s true! The tags are endless. I highly suggest tagging email subscribers almost any time you use a link in your email. In #1 I showed you how to move subscribers into a sequence based on a choice they make. What about moving subscribers into a sequence automatically when a current sequence ends? Easy peasy! Step 1: Create a new automation rule. 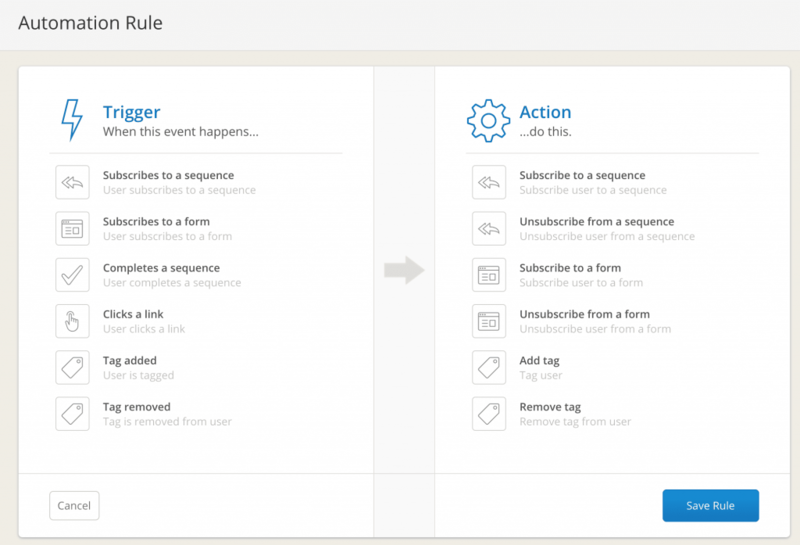 Under trigger select “completes a sequence” and select the appropriate sequence you will be moving subscribers from. Under action select “subscribe to a sequence” and select the sequence you will be moving subscribers to. …that’s it! Told you, easy peasy! This is similar to adding customers who click your sales page into a nurture sequence. Instead of sending them only to a nurture sequence, you could send them to the nurture sequence and to a sales page with a discount (it can be a limited-time discount, see my bonus trigger below). Step 1: Create a new automation rule. Under trigger select “clicks a link” and enter the URL for your sales page with a discount. Under action select “add tag” and “subscribe to a sequence.” Create a tag that says “interested in xyz” and a sequence that has a series of emails that speaks to the value of your product. Step 2: Use the link trigger every time you mention your product in an email. Anyone that is interested in the product will now be entered into the nurture sequence and have the opportunity to take advantage of the coupon code! There are a lot of different ways you can set this up. How you do it will largely depend on the other tools and systems you have in place. 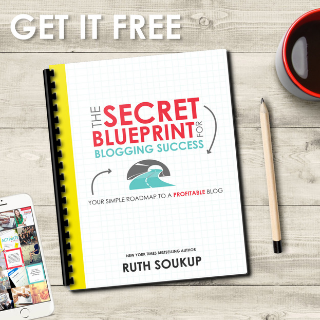 I’ll show you how I set this up using ConvertKit, SendOwl, and LeadPages. Step 1: Create a thank you page that your customer gets redirected to after they sign up for your email list. I place a link to the opt-in offer on the thank you page and a limited-time upsell offer. I do this in LeadPages. Step 2: Set up a coupon code. I do this in SendOwl because that is the checkout system I use for all my products. Step 3: Set up an evergreen timer on your sales page. I set mine to 20-minutes and have the page redirect to a cloned thank you page without the limited-time offer. LeadPages will redirect customers to the cloned page without the offer after 20 minutes. Step 4: In your first sequence email that triggers immediately after someone signs up for your email list, reiterate how to download the free opt-in by linking back to the thank you page. This part is super important! If your subscriber clicked off the thank you page, this will enable them to get back to the upsell offer within the allotted timeframe or it will simply redirect them once the timer runs out to the freebie link. I find that I get the most conversions from people clicking the link to claim their freebie from my email sequence. Do you want to see this in action? 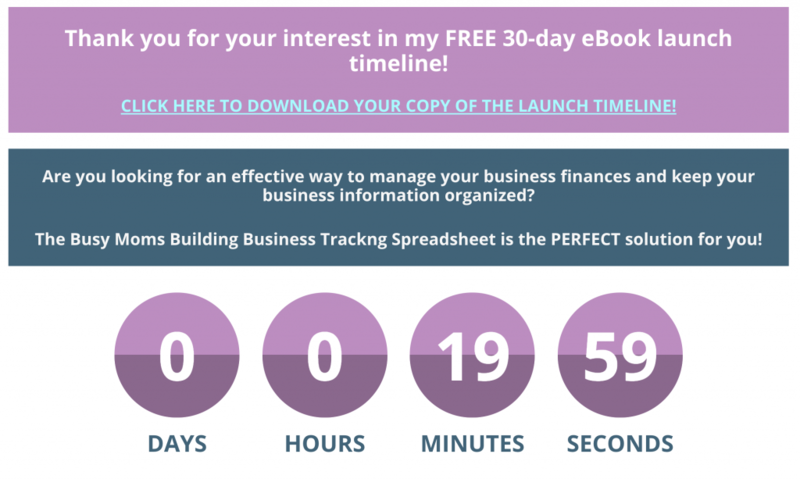 Sign up for my 30-day launch timeline spreadsheet and as long as you haven’t signed up for it yet, you’ll see the evergreen timer in action! In my new course, ConvertKit Masterclass, I am teaching you all of my advanced strategies for leveraging ConvertKit to grow and manage a thriving email list. 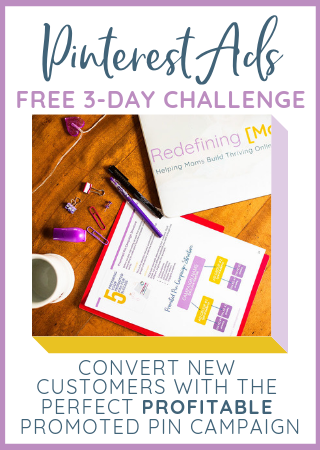 If you’ve enjoyed this free series, I know you will love the masterclass! Totally! 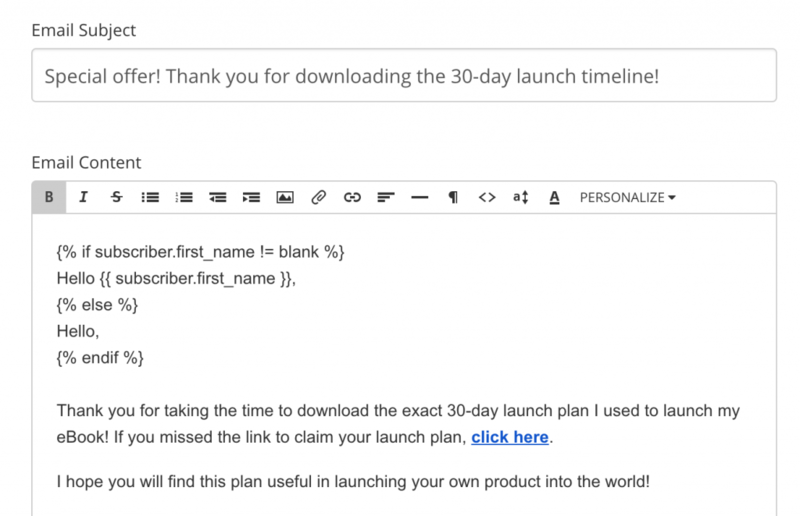 I want to be an email-lovin’ ConvertKit guru! I absolutely love this!! Such great actionable info that I’m adding to my todo list right now!